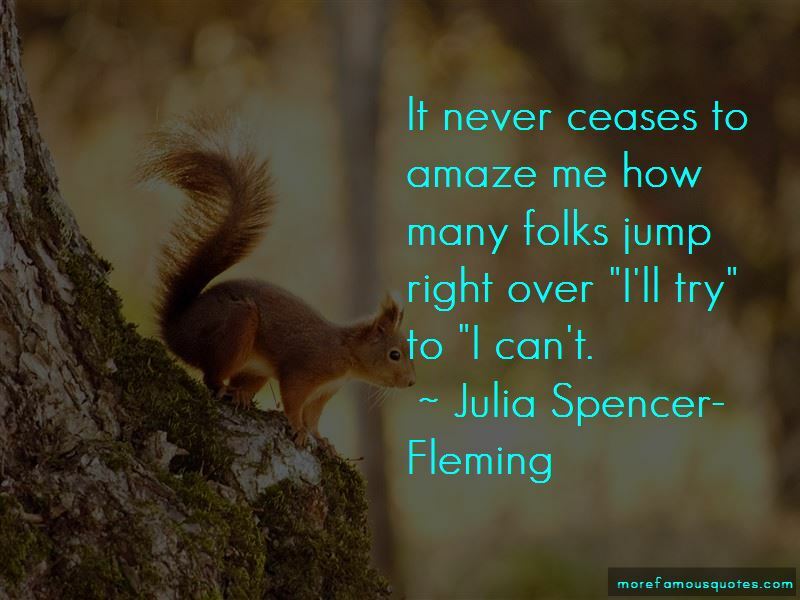 Enjoy the top 20 famous quotes, sayings and quotations by Julia Spencer-Fleming. You know it's a bad sign when the theme song from Titanic describes your relationship. He stomped away like a pint-sized Godzilla looking for Tokyo. “I believe that God hears our prayers, and cherishes them. I believe He answers by sending us His spirit, giving us strenght, and peace, and insight. I don't think He responds by turning away bullets and curing cancer. Though sometimes that does happen." Harlene frowned. "In other words, sometimes, the answer is no?" Russ decided the best defense was a good offense. "I'm Russell Van Alstyne, Millers Kill chrief of police." He held out his hand. She shook firm, like a guy. "Clare Fergusson," she said. "I'm the new priest at Saint Alban's. That's the Episcopal Church. At the corner of Elm and Church." there was a faint testiness in her voice. Russ relaxed a fraction. A woman priest. If that didn't beat all. "I know which it is. There are only four churches in town." He saw the fog creeping along the edges of his glasses again and snatched them off, fishing for a tissue in his pocket. "Can you tell me what happened, um ... " What was he supposed to call her? "Mother?" "I go by Reverend, Chief. Ms. is fine, too." "Oh. Sorry. I never met a woman priest before." "We're just like the men priests, except we're willing to pull over and ask directions. The only other person attending who was close to her age was Father St. Laurent, a devastatingly good-looking Roman Catholic priest who made the RC's vows of celibacy seem like a crime against the human gene pool. So I can be the girl from Titanic who stays high and dry while you, the guy, vanish beneath the icy waves? I don't think so. Karen sighed. "I know. I could never fall for the easy guys either." She looked at Clare. 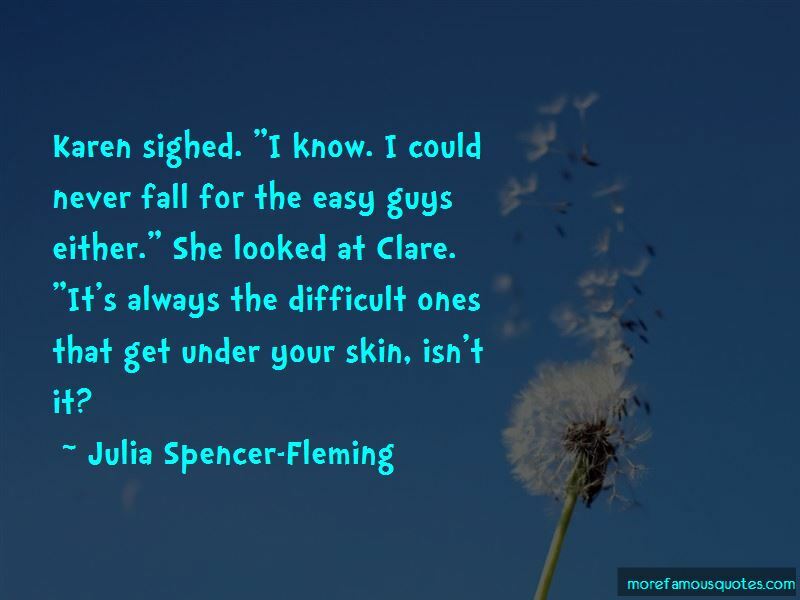 "It's always the difficult ones that get under your skin, isn't it? He were a young man, he might believe he would never forget her skin, or her smile, or the strength of her. But he had learned that the mind didn't always hold on to what the heart demanded. Remember, he told his hands. Remember this. If Carl Hiaasen and Donald Westlake had a literary love child, he would be Timothy Hallinan. 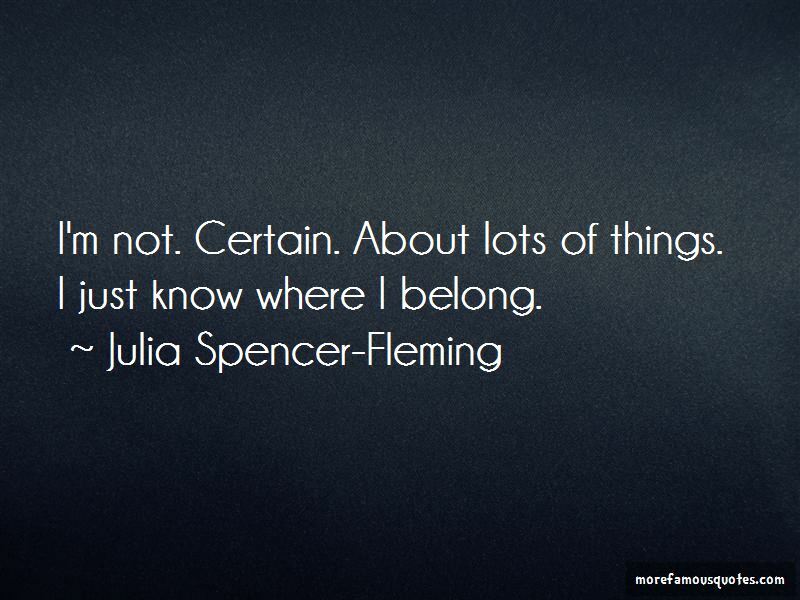 Want to see more pictures of Julia Spencer-Fleming quotes? 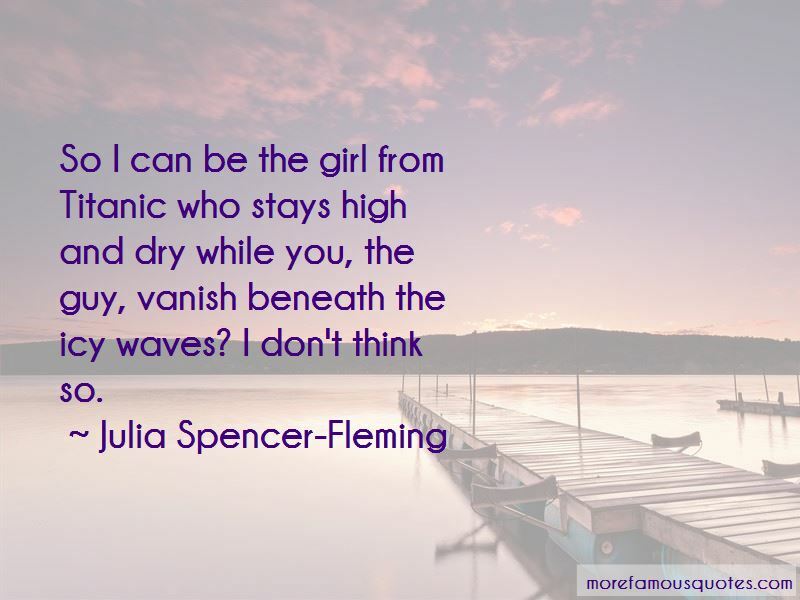 Click on image of Julia Spencer-Fleming quotes to view full size.